Photos: On Ash and Sycamore. Co. Cork, SW Ireland. Thallus +/- inconspicuous, pale to darker brown, sometimes pinkish when fresh. 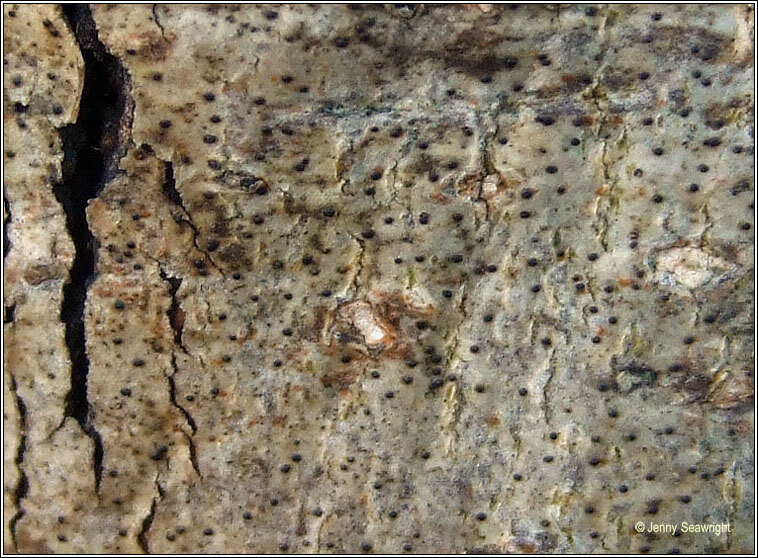 Not always lichenised, the Trentepholia cells in the thalli can be abundant or undetectable. 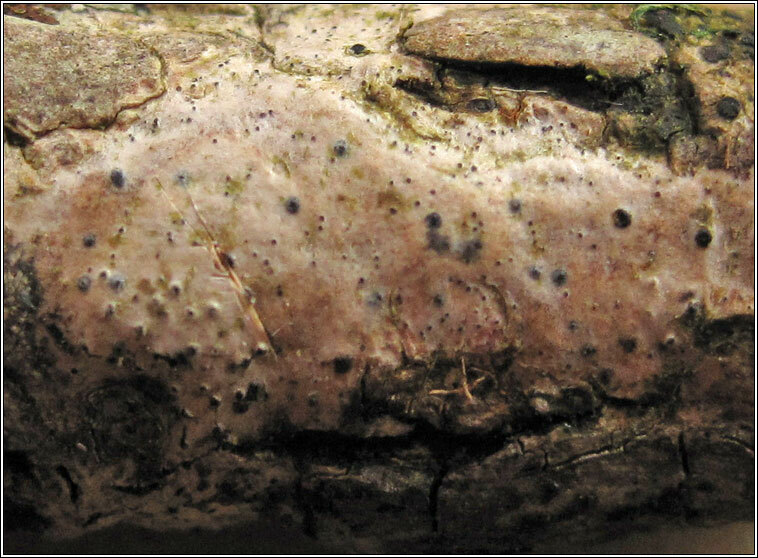 Small pimple-like perithecia, the ostiole (pore-like opening) often +/- sunken. 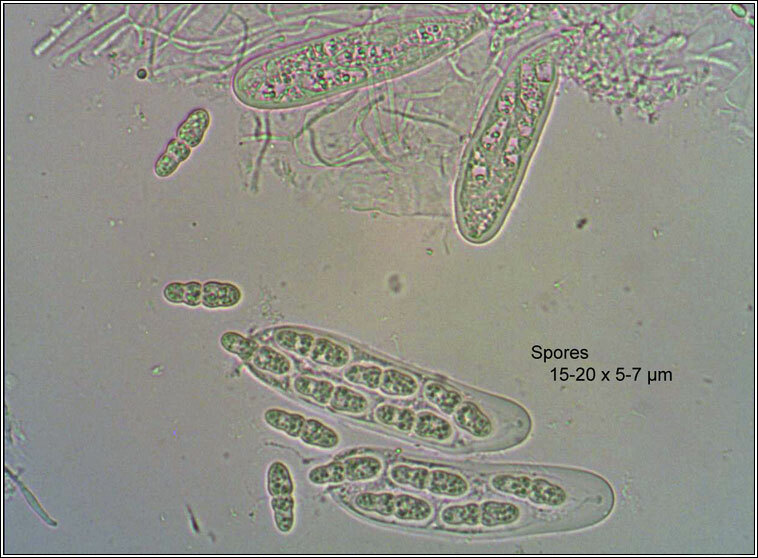 Spores colourless, 1-septate, 14-17 x 4-5.5 µm. 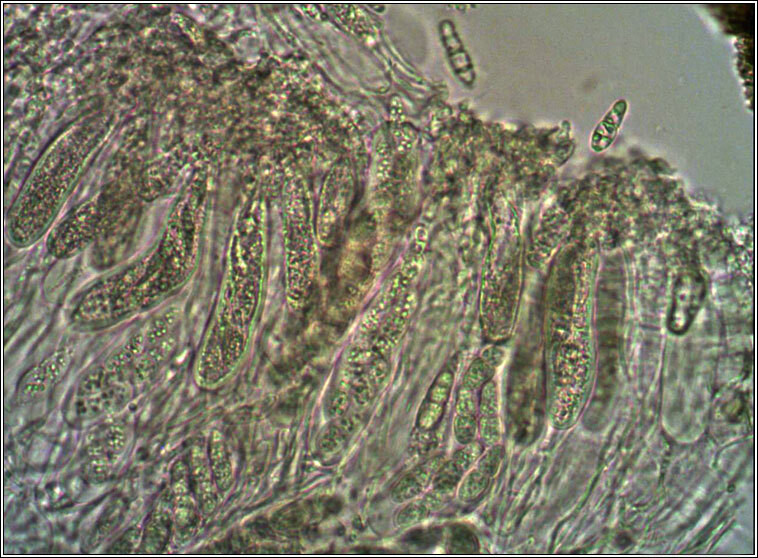 Cells constricted at septum, lower cell often with a median constriction. Micro photos below. 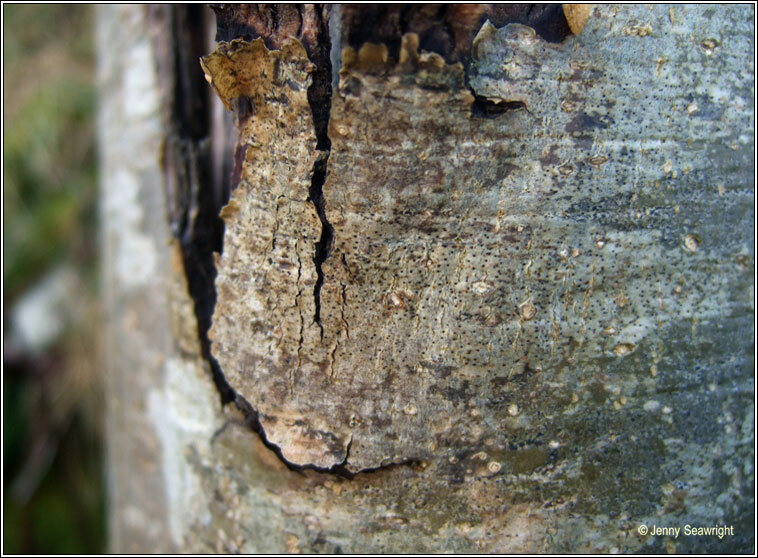 Widespread throughout Ireland on smooth bark, especially Hazel. 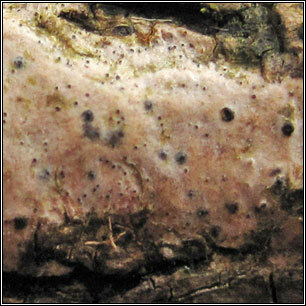 Mycomicrothelia confusa has brown spores.